Taking place in the sophomore year of the Moon Jae-in administration and at the height of pivotal peninsular dialogue, the June 13 local and parliamentary by-elections -- dubbed the “mini-general election” -- ended in a landslide victory for the ruling progressive party, reflecting the political sentiment here. 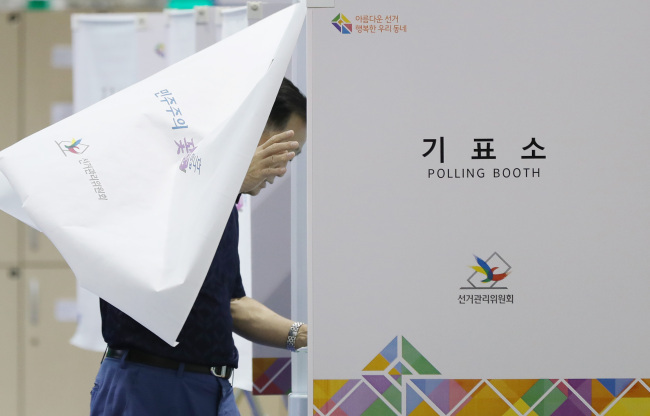 The ruling Democratic Party of Korea grasped 14 of the 17 metropolitan mayor and governor posts in Wednesday‘s local elections, while the main opposition Liberty Korea Party secured only two, the conservative strongholds Daegu and North Gyeongsang Province. In the parliamentary by-elections, held on the sidelines, the ruling party swept 11 of the 12 legislative seats. The resounding victory was all the more conspicuous as it took place in spite of a number of recent political scandals and also in longtime stronghold regions of conservative powers. In the Seoul mayoral race, incumbent Mayor Park Won-soon achieved the largely projected victory with 52.8 percent, while runner-up opposition rivals Kim Moon-soo and Ahn Cheol-soo locked horns over the No. 2 position. 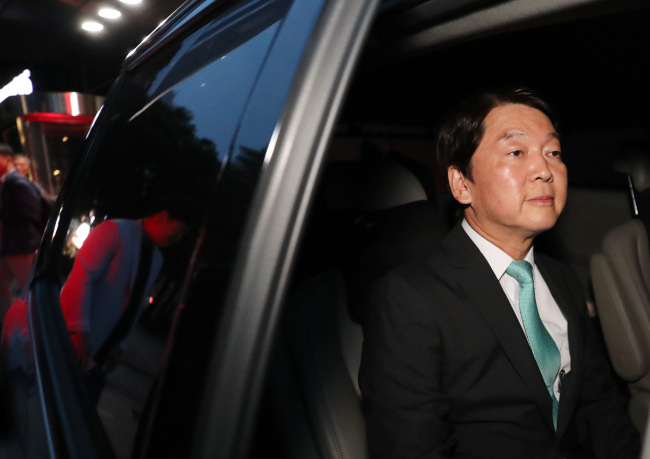 “I respect and humbly accept the stern decision of the Seoul citizens,” said Ahn Cheol-soo of the Bareunmirae Party, who finished third in the race. 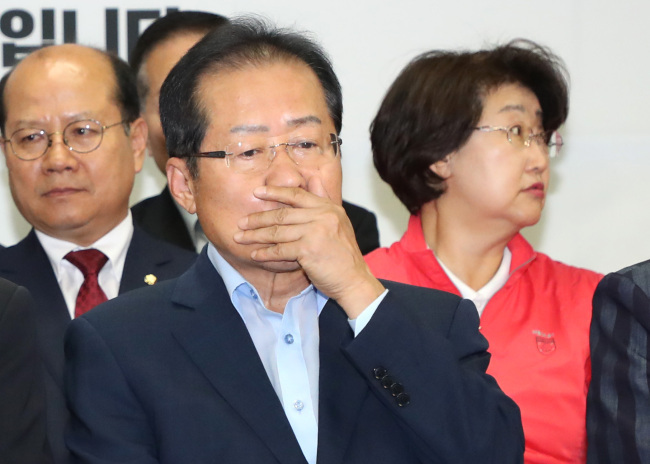 As one of the original cofounders of the centrist party, Ahn is also likely to face mounting political pressure for resignation as his party won none of the governor and parliamentary posts. In the Gyeonggi Province governor election, Lee Jae-myung scored 56.4 percent, despite his alleged affair with an actress. Kim Kyung-soo, former ruling party lawmaker and close aide to President Moon, won his governor seat in South Gyeongsang Province after a close race with longtime regional politician Kim Tae-ho of the LKP. Despite his political upper hand, Kim had recently been under fire for his alleged connection to an online rigging scandal which led to an ongoing independent counsel probe. 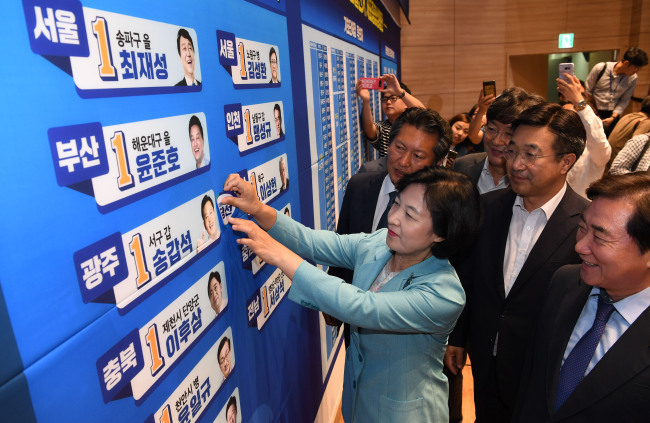 The mayoral races in Busan and Ulsan -- both conservative strongholds in the southeastern part of the country -- were also led by progressive Democratic Party candidates. “The buck stops here,” wrote the Liberty Korea Party leader Hong Joon-pyo on his Facebook account, in the wake of the exit polls announcement, hinting at his resignation. The slogan, used by US President Harry Truman, suggested that the senior politician shall take the blame and assume responsibility by stepping down. The election results are expected to further empower the ruling party which has been gaining momentum from Moon’s popularity and the ongoing inter-Korean dialogue. The largely conservative opposition camp, in contrast, will have to reorganize itself before the next big races -- the general election in 2020 and presidential election in 2022. This year’s quadrennial local and parliamentary by-elections, opening doors to a total of 4,016 local administrative, legislative and educational chief posts and 12 parliamentary seats, took place on the day after the historic summit between US President Donald Trump and North Korean leader Kim Jong-un. For the ruling Democratic Party of Korea, the electoral timing was optimal, with the recent progress on North Korean issues acting in favor of President Moon. Local pollster Realmeter said Monday, based on a survey conducted last week of 2,008 eligible voters across the country, that the president’s approval rating stood at 72.3 percent this week, up 0.9 percentage point from the previous week. Despite some fluctuations following disputes on sluggish employment figures and top policymakers’ apparent feuds over the issue, the state chief’s approval rating has remained in the 70 percent range since the inter-Korean summit in late April, marking a rare case of unfaltering popularity. Though the latest polls were not released due to election rules, the support rate for the ruling party stood at 52 percent as of the first week of June, according to Realmeter. The main opposition Liberty Korea Party followed with 18.5 percent, while support for other minority parties remained in single digits. The relatively high voter turnout was also seen as boosting the progressive party’s performance. Including the two-day early voting participation standing 20.14 percent, the final voter turnout reached 60.2 percent, exceeding the targeted 60 percent, according to the National Election Commission.